Money invested in renewable energy is not enough to reach a climate goal of limiting global warming to 2.0 degrees Celsius, an Abu Dhabi-based green energy organisation said Sunday. Investment in renewables has increased dramatically in the last decade, but "the rate of growth is not sufficient yet to meet the climate goals", Adnan Amin, the head of renewable energy agency IRENA said. His comments come less than a week before the inauguration of US President-elect Donald Trump, a climate sceptic who has promised to "cancel" a 196-nation deal to curb global warming. The landmark climate pact signed in December 2015 sets the goal of limiting average global warming to 2.0 degrees Celsius (3.6 degrees Fahrenheit) over pre-Industrial Revolution levels, by cutting greenhouse gases from burning fossil fuels. Countries, including the United States, have pledged to curb emissions under the deal by shifting to renewable energy sources. But a recent IRENA report said the current share of renewable energies in the global energy mix of 18 percent should double by 2030 to keep global warming under 2.0 degrees. To achieve this, "investments must be scaled up from some $305 billion in 2015, to an average of $900 billion per year between 2016 and 2030," Amin said at the agency's annual conference. 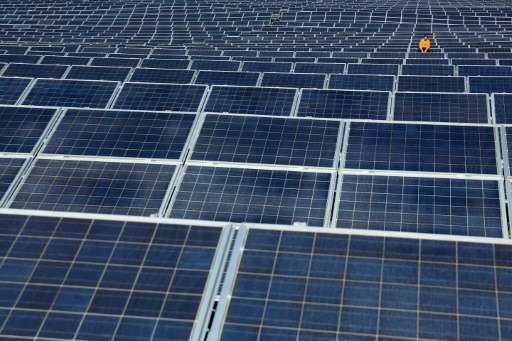 Renewable energies have become drastically cheaper thanks to recent developments in technology, he said, allowing them to become a "preferred solution", even despite a decline in fossil fuel prices. The IRENA report said solar panels "costs –- now half of what they were in 2010 -– could fall by another 60 percent over the next decade". "Off-grid renewables provide electricity to an estimated 90 million people worldwide," it added. We had better understand we can live with a poor economy, but not without healthy environment to make our oxygen, clean our water, and provide us with food. Businessmen without good educations in science will kill all of us for money. "Wyoming Bill Would Outlaw Renewable Energy"
Punishment for doing good? Pure conservatism! Intermittent renewables are not proven yet(maybe never) be able to decarbonize modern grids, e.g. 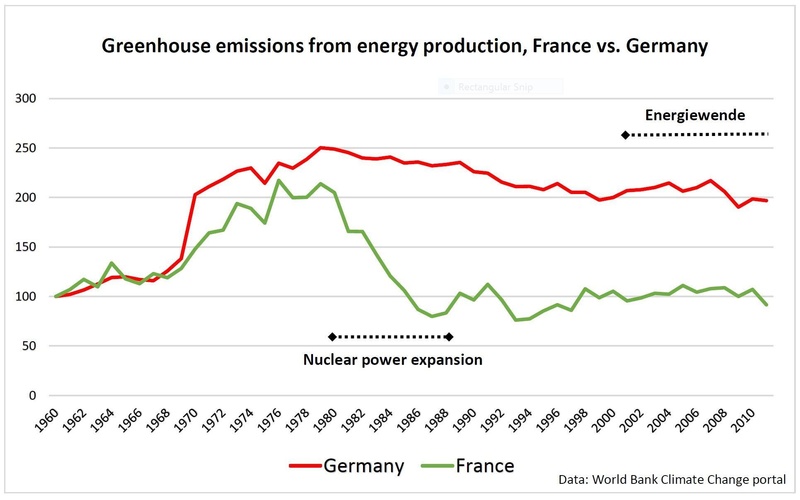 Germany, while carbon-free nuclear power has already proven be the fastest way, e.g. France and Sweden. "How to decarbonize? Look to Sweden" Nuclear power is the right path to deeply decarbonize the grids." "Norway's, Sweden's and France's power production has the least impact on climate change, according to the data, although the latter two are reliant on nuclear energy"
"...About 85 percent of total primary energy supply in Iceland is derived from domestically produced renewable energy sources..."
And that is likely to improve; proof it can be done and is being over half done in some places. In what sense is are renewables "not proven" in Iceland? There is also no insurmountable barrier to the whole world going 100% renewable; just have a supergrid to take away most of the need for energy storage + have some off-the-grid energy storage only where supergrid alone isn't quite enough. Problem solved. "...Iceland ... geothermal energy provided about 65 percent of primary energy, the share of hydropower was 20 percent..."
Hydropower and geothermal have geography/geology limitations. 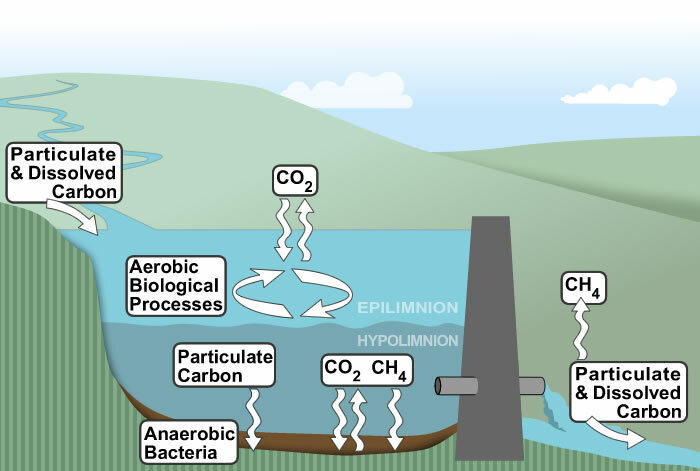 "Reservoirs are a major source of global greenhouse gases, scientists say"
"The new research concludes that methane accounted for 79 percent of carbon dioxide equivalent emissions from reservoirs, while the other two greenhouse gases, carbon dioxide and nitrous oxide, accounted for 17 percent and 4 percent." More renewables(wind and solar) means more CO2 from fossil fuels/biomass to deal with intermittencies and also more methane from hydro dams. Intermittent renewables are not solution, they are part of the problem. Carbon-free nuclear power is that is the only feasible solution to stop Climate Change. What could we do with $190,000,000,000? What kind of complete energy system could we build for ourselves with that kind of money? Well, that is how much it will cost to "clean up" Fukushima. Enough to build complete grids. Instead, it will be soaked up trying to undo their nuclear disaster. Which one is next? The point is we cannot have nuclear and other technologies at the same time, because nukes take all the money. Who but george kamburoff takes george kamburoff seriously? Nobody out there, which is why he spends all his time here (wasting ours). Who here takes $190,000,000,000 seriously? I vote for a CO2 tax. Let the market choose the technologies, not Gkam. Google Solyndra, Nevada Geothermal, First Solar and Fisher Automotive. See where our tax dollars went and what happened after they went there. And that's just four. rhugh, those got funded by Dubya Bush. He also helped Tesla, and that is changing the world.
" Let the market choose the technologies, not Gkam." But if faced with the prospect of a $190,000,000,000 disaster, what do you think power companies will do? So what? So do fossil fuels. And, unlike fossil fuels, renewables will never run out. Guess what!? The fossil fuel use they replace are an even greater source. So, if you really are concerned about greenhouse gases (which you are OBVIOUSLY NOT and you are being dishonest here) then you would be more against fossil fuel energy than hydroelectric. "Overly optimistic reports of renewables' success are not only misleading but also counterproductive"
"According to the IEA, 71 percent of global renewable electricity generation in 2015 came from hydropower"
"it's not wind and solar that have overtaken coal, it's a basket of renewables heavily dominated by hydropower." and of course, natural gas/fracking. "How renewable energy advocates are hurting the climate cause"
"Renewable energy will not take the world to a low CO2 economy. Actually, renewables may be counterproductive." "The record and data is clear - the more Nuclear you have, the less emissions you have." The cost is exorbitant thanks to antinuclear fearmongers by doing their dirty work in favor of the fossil fuel industry. "Fukushima residents exposed to far less radiation than thought"
"The airborne observations in this region of Japan overestimated the true radiation level by a factor of four." "Some of the region's expensive, time-consuming decontamination efforts—such as the removal of topsoil and tree bark—might not have been necessary." Willie never told us how big an entire grid we could have, with essentially free electricity for that $190,000,000,000 we will have to squander to "clean up" Fukushima. Then there will be another nuclear disaster. How many more, Willie? Then there will be another nuclear disaster. Three Mile Island and Fukushima were a kind of nuclear disaster where no one has been killed or sickened by radiation. Chernobyl: there are less than 150 confirmed deaths from the projected 4000 from a flawed (politically biased) LNT model. Meanwhile, fossil fuels (backup for intermittent renewables) kill thousands of people each day, millions each year. The antinuclear movement has just served to make the fossil fuel industry ever stronger. 190 billion is the cost of 20 years of energy subsidies for approximately the amount of renewable energy - minus hydroelectricity - that already exists in the US grid. Somewhere around 7% of the electricity demand. Point being that there's not enough investment in renewables because they cost so damn much, and the subsidies never stop because the random on/off electricity doesn't sell worth a damn on the free market so it has to be guaranteed profit by the state - and that means the prices won't come down because there's no competition and no incentive to make it cheaper. Show me that, and the petroleum subsidies. I think you invent your facts like Trump. I showed you last time when you were still claiming 175 billion. I won't bother digging up the same links that you ignore anyways. The largest increases in federal energy subsidies were in electricity-related renewable energy, which increased 54 percent over the 3-year period, from $8.6 billion to $13.2 billion. The fact of the matter still is, renewables get massively overpaid for the amount of energy they provide. The subsidies aren't a start-up aid anymore after so many decades - they're a crutch to keep the whole racket going. ...is drowning in "Alternative Facts". "Alternative Facts" = "Alternative Sources of Energy". "Alternative energy is any energy source that is an alternative to fossil fuel." But in practice, intermittent renewables are not alternative as they have strong dependence on fossil fuels, they are symbiotic/complementary. "Petroleum as an alternative to whale oil"